“The Orthodox Church is evangelical, but not Protestant. 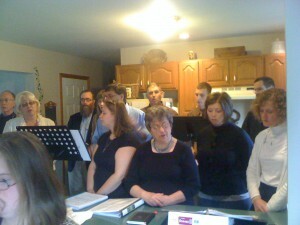 In 2008, a new mission community was developed in Snyder County. Pastor David Smith, an ordained Lutheran minister, began to be drawn to Orthodox Christianity. He was attracted because of his love of liturgical worship and the unchanging Orthodox faith. He contacted Holy Trinity Church, and eventually, a monthly Vespers service with Bible study began in his home in Beavertown for him and a core group of like-minded people. Very quickly, their gatherings moved to Sundays and included prayer and teaching. The following year, Fr. Basil Biberdorf joined the Holy Trinity staff as Assistant Rector. He oversaw the community, while Pastor David completed the St Stephen’s Course of Studies. Gradually, Divine Liturgy and Great Vespers services expanded to two to three times per month by 2011. 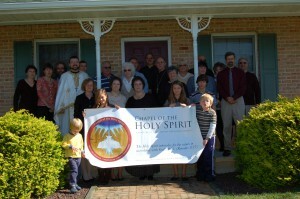 This new community became known as the Chapel of the Holy Spirit, the only Orthodox community in Snyder County. The Chapel of the Holy Spirit is modeled after the English concept of a “Chapel of Ease.” Thus the Chapel is part of the parish, allowing ministration of the Sacraments to a smaller community living at distance from the parish church itself. This system avoids many of the encumbrances encountered when trying to support a small free-standing community. For instance, Holy Trinity owns and partially administers the Chapel from State College, overseeing planning and logistics. In this manner, the Chapel does not need to concern itself immediately with an administrative structure and fundraising. They are entirely devoted to ministry. In 2013, Pastor David Smith was ordained to the diaconate. By this time, the small community had outgrown its original meeting space in Dn. David’s home. Thus, in 2014, Holy Trinity decided to build a small chapel in Beavertown, Snyder County, with a generous no-interest loan from the Archdiocese of Pittsburgh and Western Pennsylvania (Orthodox Church in America). Archbishop Melchisedek led a cross-planting service for their new church building that year. The groundbreaking took place in June of 2015, and the Archbishop returned to consecrate the completed chapel in October of that same year. On June 18, 2016, Dn. David was ordained to the holy priesthood and was appointed Assistant Rector of Holy Trinity and Priest-in-Charge of the Chapel. The Chapel outgrew its first meeting space—the dining room of Father David Smith—and has moved into a new church building in Beavertown. In 2018, the Triduum of Holy Week and Pascha were celebrated for the first time, a longed-for aspiration being realized. 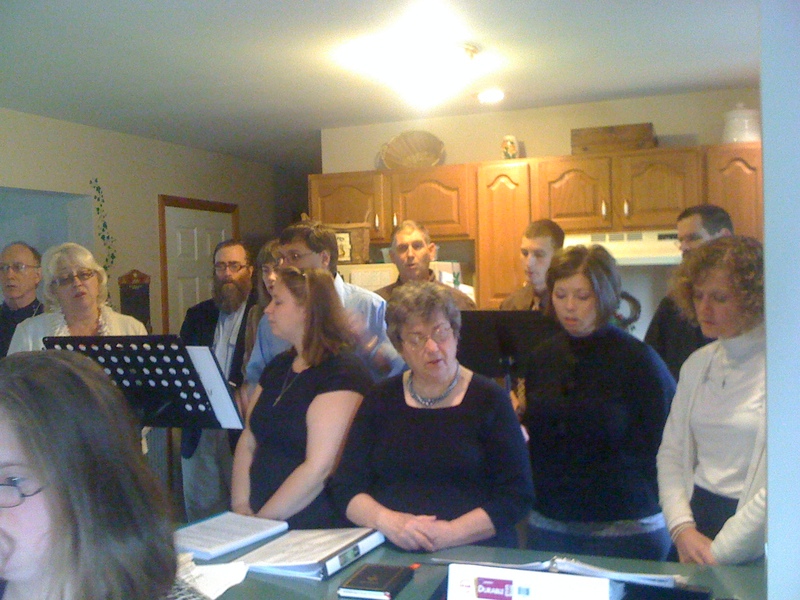 Currently, more than 20 people attend the Chapel regularly and call it home. Most are converts to Orthodoxy. The chapel design was based on one built on Woody Island, Alaska and engineered to add both an altar on the east side, plus transepts to the north and south, as growth continues. 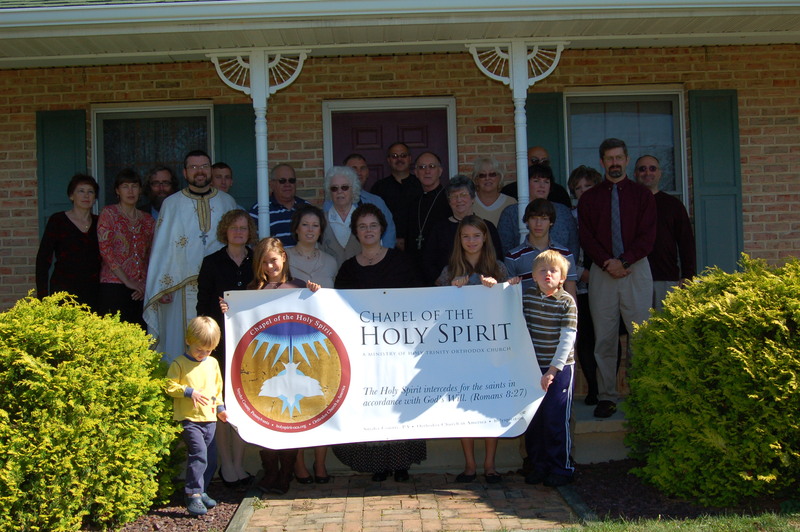 At the present time, the Chapel of the Holy Spirit is the only permanent Orthodox Christian community in Snyder County. While it continues as a ministry of Holy Trinity Church in State College, the Chapel hopes to apply for a Church Planting Grant in due course.